The chart above shows the extraordinary extent of the rally from 2009 both in time and magnitude . The ratio of the S&P 500 to its own volatility, VIX, shows the cycles in a new way. As rallies typically come with lower volatility, the cycles are accentuated by this ratio. 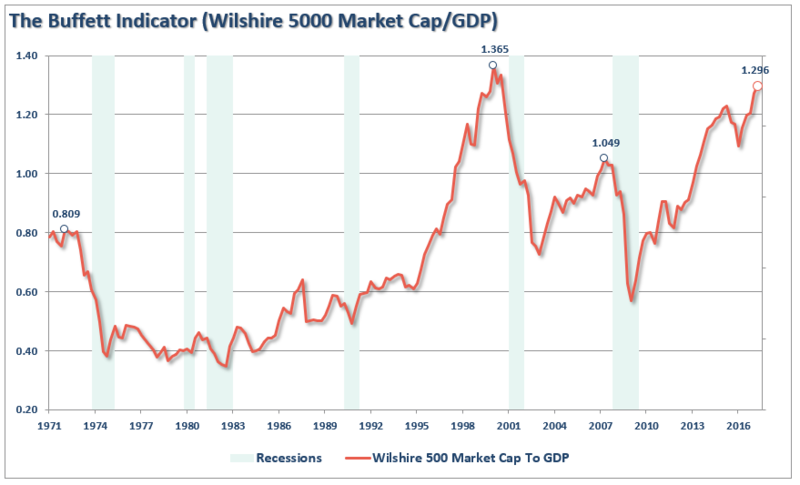 This serves to highlight the S&P 500 cycles and draw attention to important behavioural aspects of market conditions. The chart shows that these cycles have been expanding both in time and in magnitude. 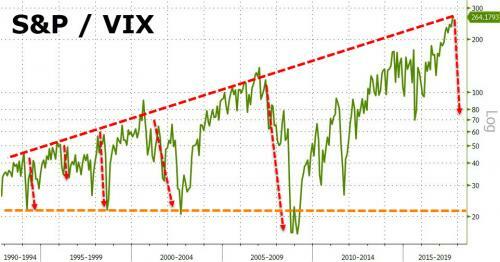 The first 3 lows came in 4 year cycles, then the next low came 6 years later. Now, more than 8 years later we have still not even put in a high. In magnitude terms each peak has been higher, and the peak in this cycle will again be far higher. Yet on almost all occasions, the cycles have still returned to the same lows. Investor’s expectations are always anchored by the recent past, and so perceptions, in general, have likely shifted into a condition of expecting high equity returns given the longevity of the market rally, and with seemingly very little risk, since the markets volatility has been at record lows for some time. The chart above serves as a reminder that this cycle is far more extended than all previous cycles, both in price and time terms. So when the peak is eventually in, both the price risk as well as the volatility change could be substantial. For this reason, even more so than in the past, it is highly unlikely that any passive strategy will work well in the next few years, particularly after the S&P 500 has peaked for this cycle. While current trends are still in place in the short term, having too much confidence in this continuing indefinitely is becoming an increasingly dangerous long term proposition. This means that commiting to a passive investment strategy for the long term based on current conditions is a very poor strategy. 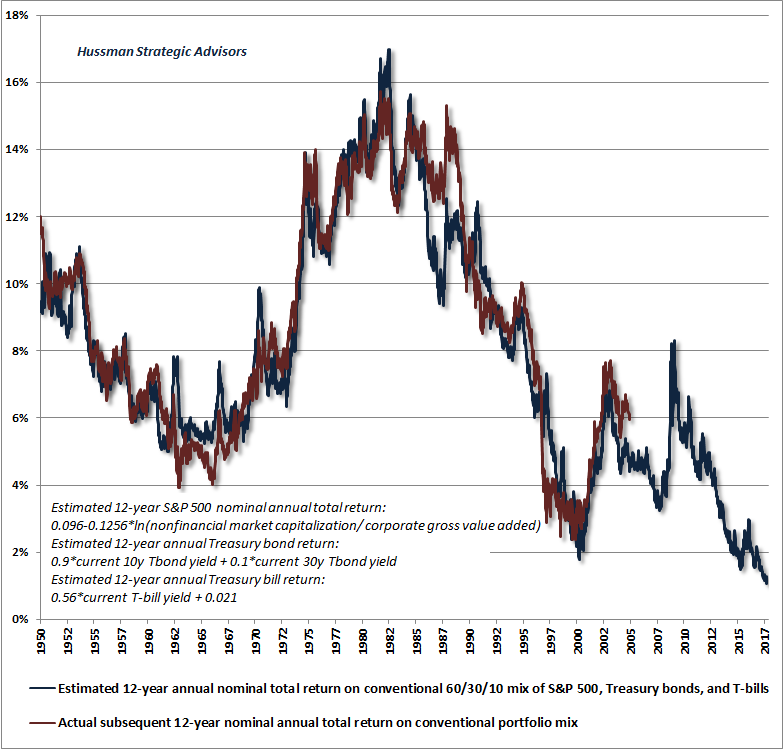 This point is reinforced in the chart below which shows that the most likely long term expected return from a 60% equity, 40% bond portfolio is currently the worst since 1950 at around 1% nominal. Warren Buffett now holds around the highest ever level of cash at around $100 BN. Looking at his favorite valuation measure it is not difficult to see why he has chosen this allocation. So while passive investment strategies are understandable from a behavioural point of view, as many investor’s views are anchored to recent conditions, this looks like a very poor long term strategy. Yet as you might expect it has become increasingly popular. 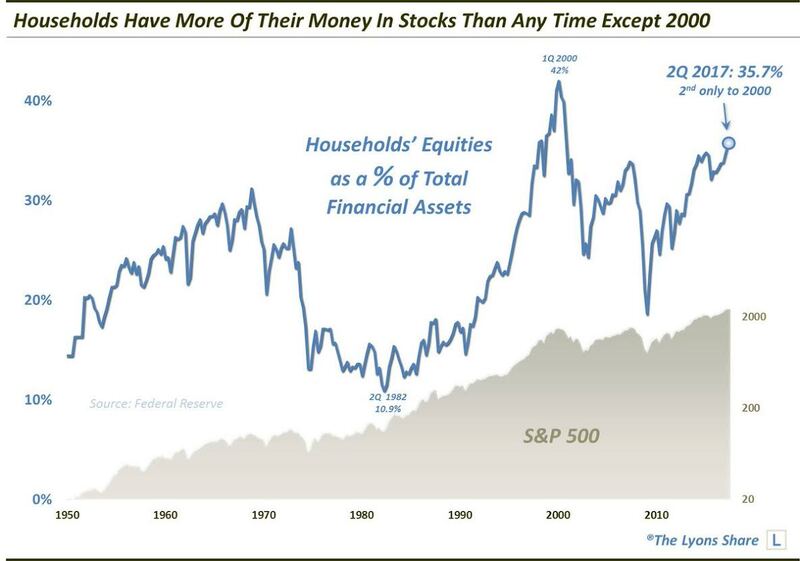 The chart below shows that households have more money in stocks than at any time except 2000. What extended the rally well beyond 8 years? Many of these factors are subsiding or even reversing. The Fed is not only rasing rates. It has just announced that this month, for the first time since 2008, it will start reducing its balance sheet. The Cyclical And Debt Forces Pressuring The Fed. And Now QT1? Investors face conditions where it will be imperative to have an asset manager that can manage both current conditions, as well as suddenly changing conditions, where volatility could explode and asset prices, across all sectors, could experience major trend changes. This means having a universal strategy that covers all asset classes, with strategies that can benefit from current conditions as well as having strategies that would benefit from very different circumstances. In each case these strategies need to be constantly adaptive and risk managed in a way that automatically adjusts to changing conditions. With this in place, strategies that are currently working well will be automatically downsized if they start to underperform. While other strategies that currently have a low profile will replace them as and when they begin to work. This requires a low cost trading platform that is not cost challenged by periods of high turnover, as is the case at Belpointe. It also requires, a wide range of highly effective tactical strategies, across the investment spectrum. An effective strategy may well make positive returns even when it is out of favor, in this case a diverse portfolio of tactical models could generate consistently positive returns through many changing conditions. In favor models could retain their gains even after falling out of favor, even as out of favor models make small gains before they return to favor in the cycles and start to outperform. If the models can be developed to achieve this, it amounts to a transformation in investor returns in terms of stability and consistency. This is what Tactical Asset Management is all about. Not only are strategies developed for a range of market conditions, but also for a range of different types of asset allocation. In this way it is possible to choose a range of tactical strategies that together can produce more consistent returns with likely lower risk, by constantly adapting to market conditions and introducing risk management. This combination is called trend aggregation. This approach means that on the downside losses can be more closely calculated by the likely drawdown in the tactical model, rather than volatility of the assets. At the same time it is likely that other tactical models will start to generate positive returns, offsetting these losses. In this way investors can have a combination of factors protecting them from a change in conditions. This changes the conversation about asset allocation. Static allocations involve delayed reactions from prior discretionary one-off allocation changes. Any form of static allocation choice has a number of challenges even in less extreme circumstances. Given the circumstances a rethink is necessary. Investment Management: Why You Need A Complete Rethink. 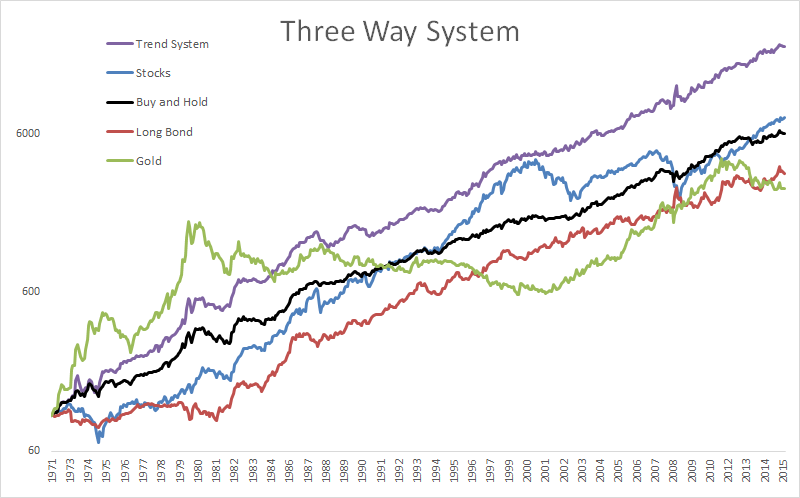 Part 2 – Stock/Bond Passive Allocation Strategies Are Nonsense! Tactical Asset Management avoids these issues and can offer a far more efficient flow of risk and adaptation that has already been set in advance. This generates a very different set of outcomes, and adaptability to whatever markets develop, and can also result in much more peace of mind about what-if concerns. Given current circumstances I fully embraced tactical methodologies for 2017. On the Belpointe platform the ability to develop and execute tactical models simply transformed what I able to do. The extremely low fixed commision structure, combined with the Orion trading platform is a near complete transformation in terms of capability. Over the year I have developed 9 tactical models to provide a universal set of tactical models. While it has involved a certain amount of transition into the new models, it has already had a very significant effect, and provides a new level of stability in accounts. Then I am able to measure risk and return on each model to check how I measure up to conventional benchmarks. I am also now able to select portfolio allocation for any account or household with far greater precision and variety. My constant gaol is to produce the maximum possible Repeatable Volatilty Adjusted Returns, as described in my August 2017 notes, for every model I manage. Then it is solely a matter of selecting the appropriate allocation for each client from any combination of the 9 models. Belpointe’s shift to calculating composite returns will enable much more reporting of this whole process over time. Clients will receive a grid of all the information I currently have on the models, as soon as the composite model returns have been fully reconciled and confirmed. Non clients may receive further information on application. For tactical models volatility refers mainly to upside volatility. Downside volatility is lower as risk management kicks in, and is usually better expressed through a drawdown calculation. As a guide to volatility, the S&P 500 index currently has a volatility of 10 on my measure. This model is a variation on the All Weather system designed by Bridgewater in the 1970s. Over 40 years of data shows that this static allocation has lower long term volatility and higher alpha than almost any other static asset allocation model. The performance of PRPFX shows similar results since 1981. CD Passive takes this a step further by adjusting the allocation to only holding the All Weather assets when they are in long term uptrends. Passive Cycle Dynamics. 2 Simple Investment Transformations. This model looks at the whole universe of high income assets, from corporate bonds, high income stocks, and fixed income products.Here is an outline. A fact sheet showing the history of this model back to the beginning of 2007 will soon be available. Equity Aristocrats applies “Pure Quant” to Global Elite stocks. A fact sheet will soon be available on this model. Tactical Billionaire applies “Pure Quant” to the portfolios of currently 16 Billionaires. Venture Tech uses a similar approach to small cap stocks and technology stocks. However this model takes smaller positions but has many more selections. The management has been adjusted to handle higher individual stock volatility. CD Active takes a more aggressive stance to cycles. While it stays in the general framework of the models above, it focuses on the longer term potential gains with more aggressive positions, including long positions in options.